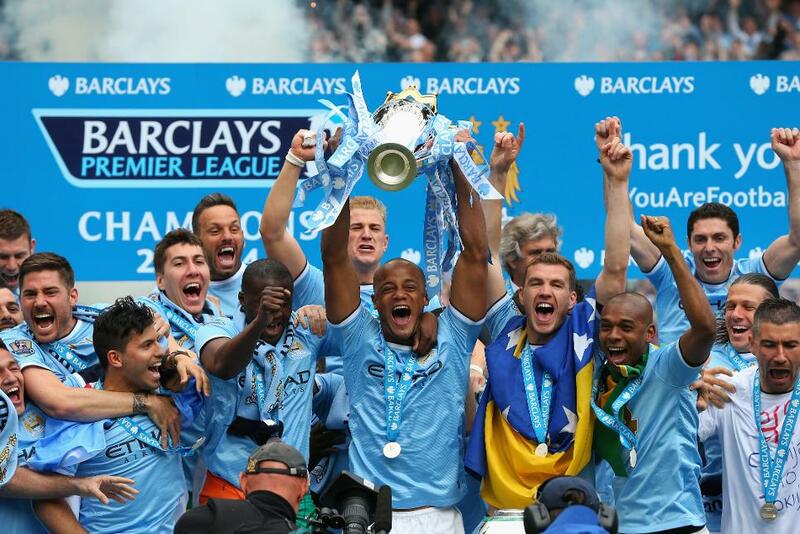 A new dawn was upon the Premier League before the 2013/14 season started. The competition was without the most successful manager in British football history for the first time after Sir Alex Ferguson retired from his post at Manchester United, with David Moyes taking the helm. Manchester City and Everton also had new managers in Manuel Pellegrini and Roberto Martinez, while a familiar face returned to Stamford Bridge with the self-styled "happy one" Jose Mourinho coming back for a second bite of the cherry at Chelsea. These changes created a heightened sense of expectation and intrigue as to how things would unfold in the Premier League, and it did not disappoint. Although pre-season favourites Manchester City were eventually crowned Premier League champions, how they came to win the title was far from a foregone conclusion. The league's lead changed hands 25 times throughout the season, while the title, European places and relegation spots were all to play for going into the penultimate week of the campaign. 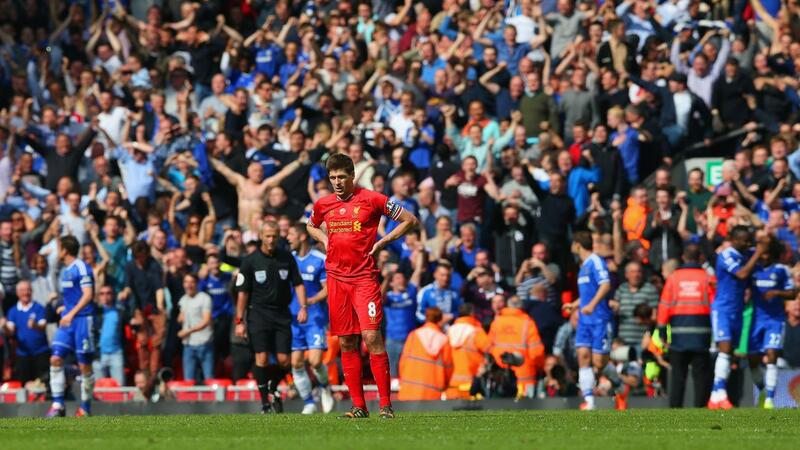 City's nearest rivals came in the surprise form of Brendan Rodgers' Liverpool. Having finished the previous campaign seventh, the Reds came within touching distance of their first top-flight title for 24 years with a scintillating brand of attacking football and a remarkable campaign for striker Luis Suarez, who netted 31 goals in the Premier League, a joint record for a 38-match season. Managed by Pellegrini in his first season, Man City were only top of the table for 15 days during the season, but they made them count. The Citizens overtook Liverpool in Matchweek 37 and finished off a run of five consecutive wins with a 2-0 success against West Ham United at the Etihad Stadium in the final match to seal their second Premier League title. The season's early running was taken up by Arsenal, who recovered from an opening-day loss to Aston Villa to win 11 of their next 13 matches and gain a stranglehold at the summit. They briefly dipped to second after a 6-3 loss against Manchester City, but regained their form and were top going into 2014. When the Gunners were knocked off the top in February, it was after a 5-1 thrashing by Liverpool. That was the first of 11 consecutive victories for the Reds, including a 3-0 triumph over Manchester United at Old Trafford and a thrilling 3-2 success against Manchester City at an emotionally charged Anfield two days shy of the 25th anniversary of the Hillsborough disaster. Five points clear at the top of the table with three matches to go, Liverpool's title drought appeared set to end, but Chelsea manager Mourinho had other ideas. Mourinho, who had just suffered his first Premier League home defeat at the hands of Sunderland, led his depleted side to a 2-0 win at Anfield thanks to Demba Ba capitalising on Steven Gerrard's slip and Willian striking late on to dent Liverpool's title hopes. If that defeat had Rodgers' previously imperious side on the ropes, they were then knocked down by a late rally from Crystal Palace. Safe from relegation thanks to Manager of the Season Tony Pulis, who lifted the Eagles from bottom place to 11th, Palace came back from 3-0 down with 12 minutes left to salvage a 3-3 draw at Selhust Park and leave the Liverpool team in shock. Man City took advantage and replaced Liverpool at the top of the table after a 4-0 win over Aston Villa at a rain-soaked Etihad Stadium. A comfortable home win over West Ham on the final day followed to clinch the title for Pellegrini's men, who had also won the League Cup in March. Away from the title race, Everton, under new manager Martinez, launched an assault on the top four before being edged out by Arsenal. Arsene Wenger's side went on to win the FA Cup and end their 10-year wait for a trophy. Tottenham Hotspur joined the Toffees in the UEFA Europa League after holding off Manchester United, who finished outside the top three for the first time in Premier League history. A youthful Southampton side, who mounted an early challenge for the European places, were the best of the rest after securing a club record points haul in eighth. At the bottom, Sunderland became only the second side to recover from being at the foot of the table at Christmas and going on to avoid relegation. A shock victory over Manchester United, under the guidance of club legend Ryan Giggs after Moyes' departure, as well as the historic victory at Stamford Bridge summed up the fighting qualities instilled by head coach Gus Poyet. Cardiff City's debut Premier League campaign ended in relegation, with Malky Mackay and then Ole Gunnar Solskjaer unable to prevent an immediate return to the Championship, and they were joined by Norwich City and Fulham. Felix Magath, Fulham's third manager of the season, could not prevent their 13-year stay in the Premier League from coming to an end.